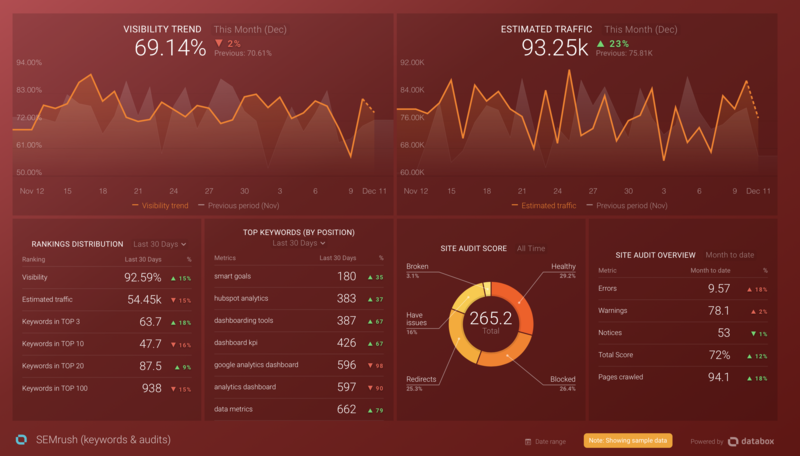 SEMrush is an all-in-one digital marketing software suite designed to provide digital marketers and online businesses with competitive data to inform marketing and business decisions. Go to Data Manager > + New Connection > Search for "SEMrush" and click Connect. 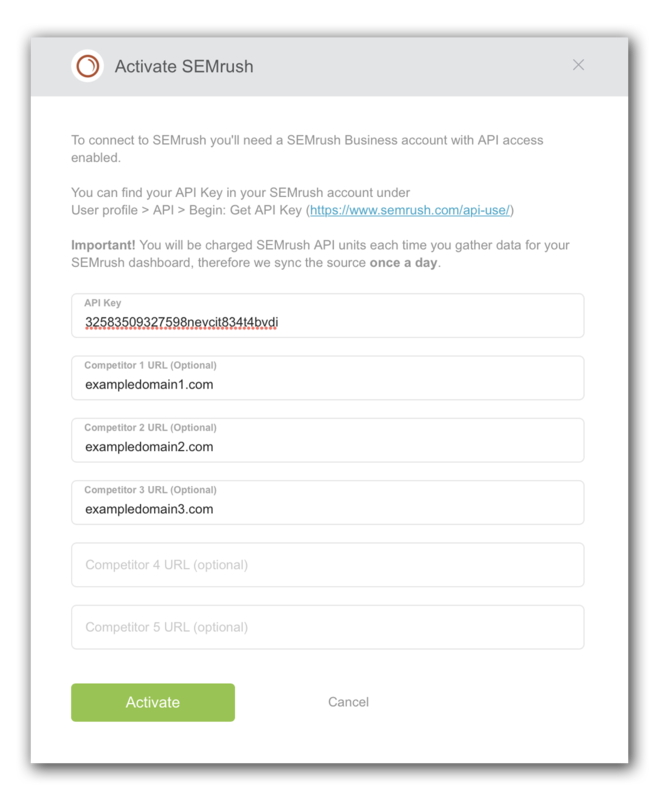 To connect SEMrush to Databox, you will need a SEMrush Business Account with available API Key Units. 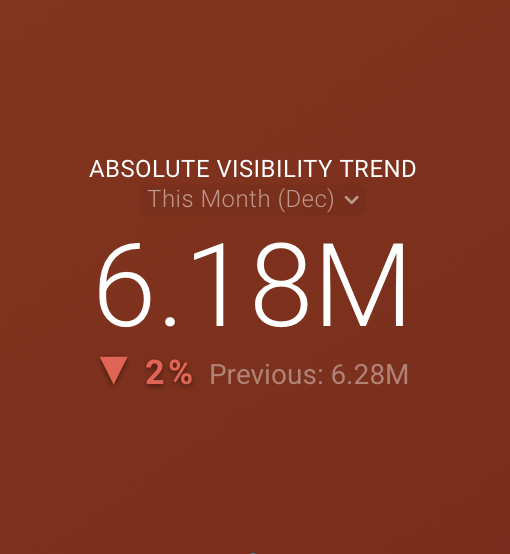 Visit SEMrush's API Overview Page for more information. A popup will appear prompting you to enter the API Key (required) and up to 5 Competitor URL's (optional). API Key: The API Key in SEMrush can be found under User Profile > API > Begin: Get API Key. Competitor Fields: Competitor fields need to be inserted manually. This step is optional. However, by not inserting any Competitor URLs, Position Tracking metrics will only return data for your URL domain. Position Tracking Metrics can be identified by the text "Position Tracking" in the metric name. 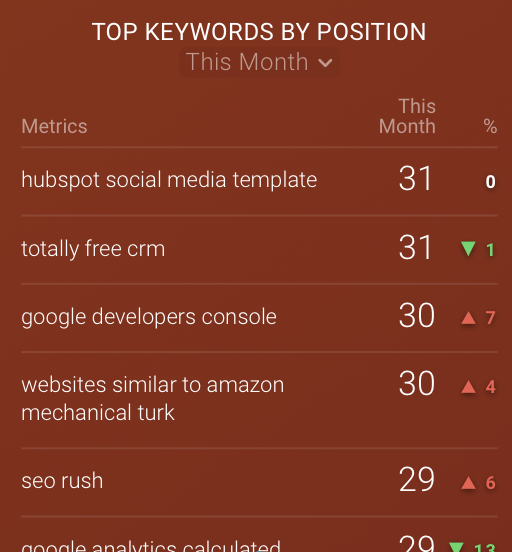 Some examples are "Overall average position (Position Tracking)," "Keywords in TOP 3 (Position Tracking)," and "Total Keywords Tracked (Position Tracking)." 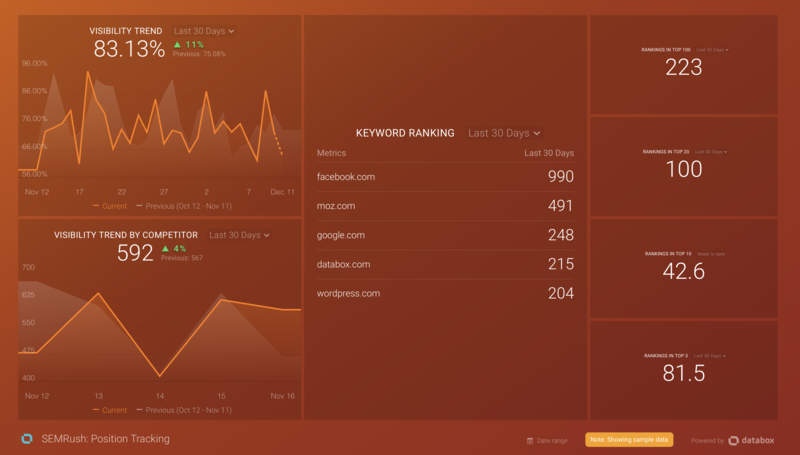 SEMRush (Keywords and Audits) dashboard gives you a full view of your SEO visibility as well as any errors that occurred. If you decide not to use a pre-built Template, you have the ability to use the the Designer to create a Databoard from scratch. 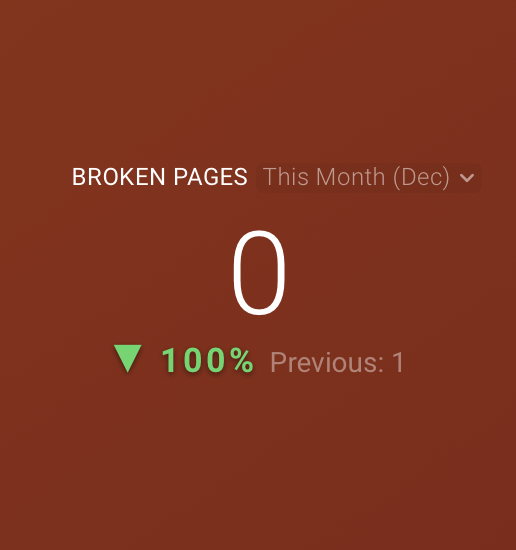 Number of Pages blocked from crawling during the specified Date Range. 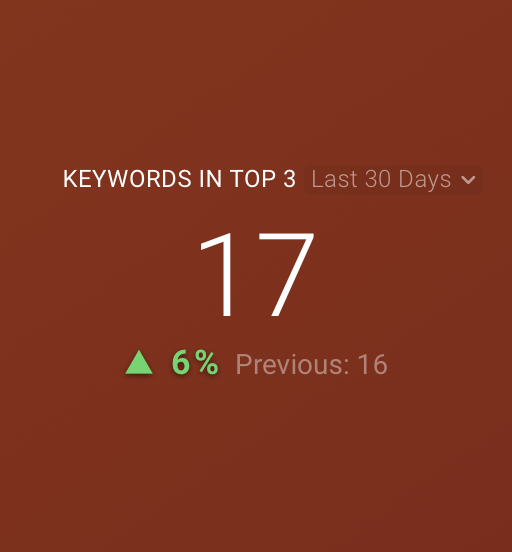 Number of Keywords that bring the domain to the top 3 search results during the specified Date Range. Top Keywords by Position (Position Tracking) during the specified Date Range. 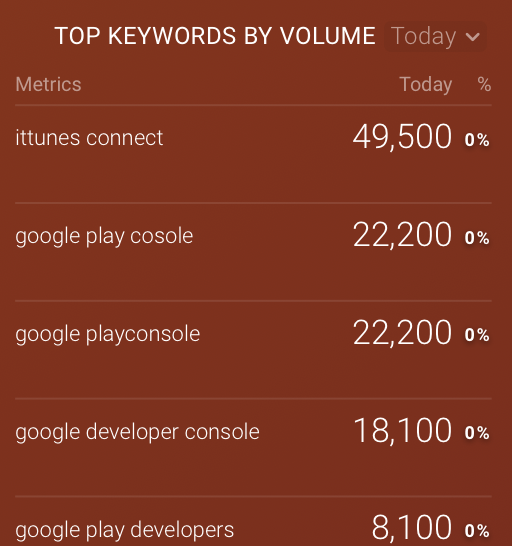 Top Keywords by Volume (Position Tracking) during the specified Date Range. Displays the absolute visibility of the domain, subdomain or URL you are tracking based on the Keywords added to your Position Tracking project. Displays the visibility of the domain, subdomain or URL you are tracking based on the Keywords added to your Position Tracking project. This is broken up based on Competitor. You can view a full list of all available SEMrush Metrics here. 1. 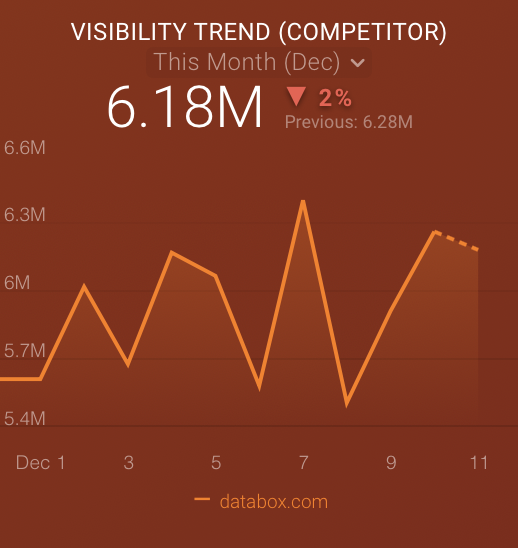 The SEMrush integration syncs data once a day with Databox on all Plans. By default, all connected SEMrush connections will sync once a day. This is because API units are charged inside SEMrush, and a complete day of hourly data syncs would use 10,500 API units. 2. SEMrush API units are only available on SEMrush's Business Plan. You can read more about SEMruch API Access here.